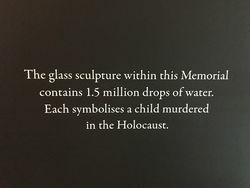 The memorial commemorates the one and a half million children who perished during the Holocaust in World War Two. It focuses on children related to Australian survivors. 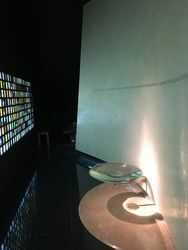 Included in the memorial space is a sculpture of children’s shoes by Israeli sculptress Elza Pollak, entitled “All That Remained”, a tribute to those who left no trace. 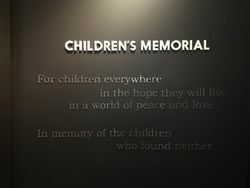 The Children’s Memorial was established in 2002 with inspiration taken from volunteer guide Mary Ziegler. Mary wanted to ensure that her half-sister, Malka, and all of the other child Holocaust victims were never forgotten. 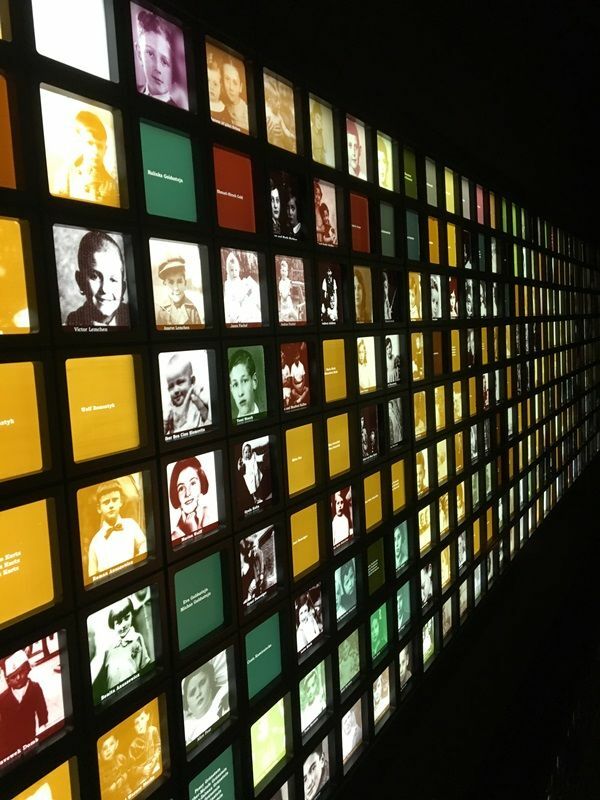 The Memorial sits in a small room in the Holocaust exhibition space, and contains a wall of tiled photos and names of children and an accompanying digital display of the same names and photographs. 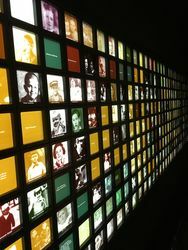 Since the opening of the Children’s Memorial, 432 names and photographs have been collected from the Sydney community. Each of the stories that accompany the photographs and names of these young children are heartbreaking, and the ongoing process of collating them has been full of harrowing discoveries for those staff and volunteers involved. The Museum has been overwhelmed with how many names were contributed by the community. They are still receiving names and photographs discovered by community members. In 2017 the last of the spaces on the Children’s Memorial wall filled. 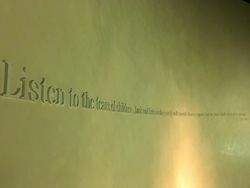 Name and any details of children who were lost in the Holocaust are still being accepted , to be immortalised in the recently unveiled electronic memorial on the Museum’s top floor. The glass sculpture within this Memorial contains 1.5 million drops of water. Each symbolises a child murdered in the Holocaust. Listen to the tears of children... Look and listen as they quietly walk towards flames so gigantic that the planet itself seemed in danger.